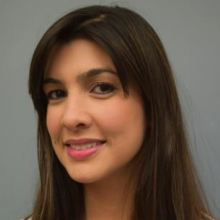 Dr. Macedo joined Dr. Alberto Bosque's lab as a postdoctoral fellow in August 2015. Her work focuses on investigating Pattern Recognition Receptors (PRRs) as targets to revert HIV from latency. She is also interested in the mechanisms that control HIV-1 to entry and exit from latency in order to identify novel targets that can be safely used towards HIV-1 eradication studies. Research in Dr. Bosque's lab encompasses both the discovery and the characterization of novel molecules aimed towards reactivation of latent HIV, as well as the understanding of the mechanisms by which HIV establishes a latent reservoir in memory CD4-T cells and how this reservoir is maintained long-term.